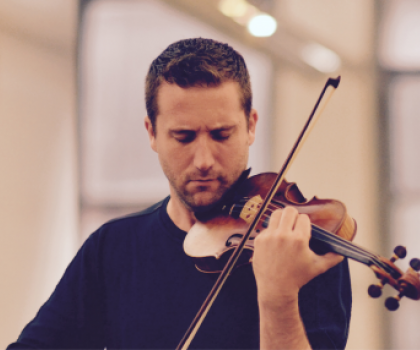 The Royal Conservatory congratulates violinist Benjamin Bowman, an alumnus of The Royal Conservatory’s Glenn Gould School. Benjamin Bowman studied violin at the RCM as a student of the Young Artists Performance Academy, later renamed in 2013 The Phil and Eli Taylor Performance Academy for Young Artists. He was a student of The Royal Conservatory Certificate Program and subsequently attended The Glenn Gould School, where he studied with the late violinist Lorand Fenyves. A member of the ARC (Artists of The Royal Conservatory) Ensemble, Bowman performs regularly with ARC and was recently nominated for a 2017 Grammy for their latest recording. Before ABT Orchestra, he was associate concertmaster of the Canadian Opera Company Orchestra and concertmaster of the National Ballet of Canada Orchestra. Mr. Bowman joins the Metropolitan Opera Orchestra to serve alongside David Chan during the 2017/18 season.